DESIGN: Transforming Switch Pitch Junior ball by Hoberman. GOOD QUALITY: This is the original, genuine switch pitch, not a knock off. COLOR: Colors Switch from Blue to Pink and Back. Net Weight: Approx.51g. Material: Wooden. Note :the picture shown is a representation of the item,you'll receive from the available lot. Picture may appear larger on your screen. Color may vary slightly due to the color setting of each individual monitor. Throw it at 45 degrees and throw it into the upper left. You can play in a little place at night, very beautiful. Length: 23cm (9.05in). Material: Safe Eco- friendly ABS. 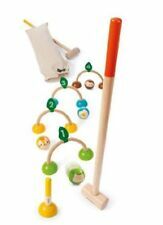 Includes 10 pieces of bouncing balls. 1 Set Bounce Ball. Balls are bright and colorful full of vibrant and energetic colors. Material: Rubber. The colors may be different as the difference display. Quantity: 10 Pcs/Set. It will fly back automatically. 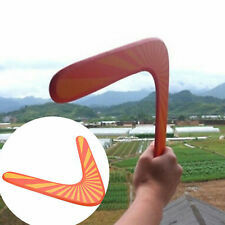 It is a sports toy that can exercise! Don't use too much force before you master the flight path. 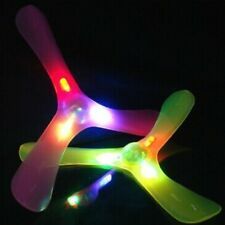 It is suitable for outdoor activities to have fun. The patterned side of the dart is on the left hand side. Throw it at 45 degrees and throw it into the upper left. Color: Blue. The work is exquisite and can be presented to others as a gift. The colors may be a little difference for the different monitor display. Pictures:Due to the difference between different monitors, the picture may not reflect the actual color of the item. Rate (item arrived). 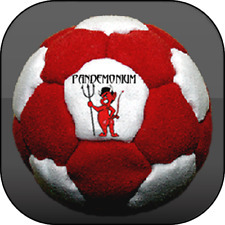 1 x Footbag Toy. Material:Woolen Foam Ceramsite. Due to the difference between different monitors, the picture may not reflect the actual color of the item. Quantity: 1PC. Feature： Brand New and high quality Size:diameter 27mm Color:random color Material : rubber Package included:10pcs Conversion : 1mm = 0.0393 inch or 1 inch = 25.4mm. The rotating wing will make your hands get hurt. It will fly back automatically. Don't exert too much force before you have a good flight path. It's a sports toy for exercise! Due to the different monitor and light effect, the actual color of the item might be slightly different from the color showed on the pictures. Color: random. A great toy for the children. Portable to carry and easy to play. Excellent light weight design. Note: Due to the difference between different monitors, the picture may not reflect the actual color of the item. Material: PU / Polyurethane; Size: 6.3cm/2.48" (Approx. ); Weight: 15g ; Package Includes: 3 x PU Football, 3 x PU Baseball, 3 x PU Basketball, 3 x PU Tennis Ball. 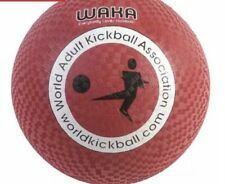 -Color:Sent by Random -Material: Rubber -Size: 6cm -Weight: 80g Package Includes: 5 * Random Bouncing Ball. High product quality. We maintain high standards of excellence. Rate (item arrived). FEEDBACK POLICY:ITEM AS DESCRIBED:Unlike any other footbag seller on EBay, we guarantee that the colors of your footbag(s) will be exactly as pictured or chosen. 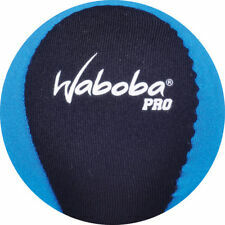 Very hard to find Footbag! FEEDBACK POLICY:ITEM AS DESCRIBED:Unlike any other footbag seller on EBay, we guarantee that the colors of your footbag(s) will be exactly as pictured or chosen. Large size footbag. 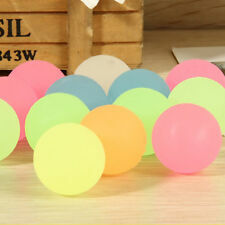 -Color:Sent by Random -Material: Rubber -Size: 5.5cm -Weight: 80g Package Includes: 5 * Random Bouncing Ball. Original Superball BOUNCE! You are buying the dark blue WHAM-O Mfg Co. San Gabriel, Calif 1965 SUPER BALL pictured. imperfections of this super ball. This ball is in very good condition. The ball is structurally sound and. 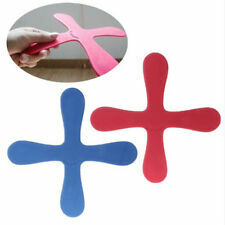 Material: PU / Polyurethane; Size: 6.3cm/2.48" (Approx. ); Weight: 15g ; Package Includes: 1 x PU Football, 1 x PU Baseball, 1 x PU Basketball, 1 x PU Tennis Ball. 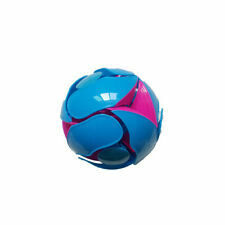 -Color:Sent by Random -Material: Rubber -Size: 2.7cm -Weight: 6.5g Package Includes: 10 * Random Bouncing Ball. Flying Saucers Set only,other accessories demo in the picture is not included! Color: Assorted Colors. 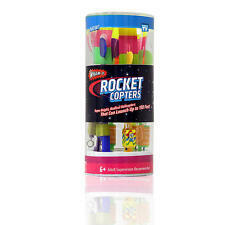 A funny and great toy for children to play with friends and parents on the yard or lawn. Also note that monitor settings may vary from computer to computer and may distort actual colors.